Hey, whaddaya call a group of shepherds in Brooklyn? …Ewes guys. Ok – umm, how ‘bout a ram wearing galoshes? …A goat in Totes. 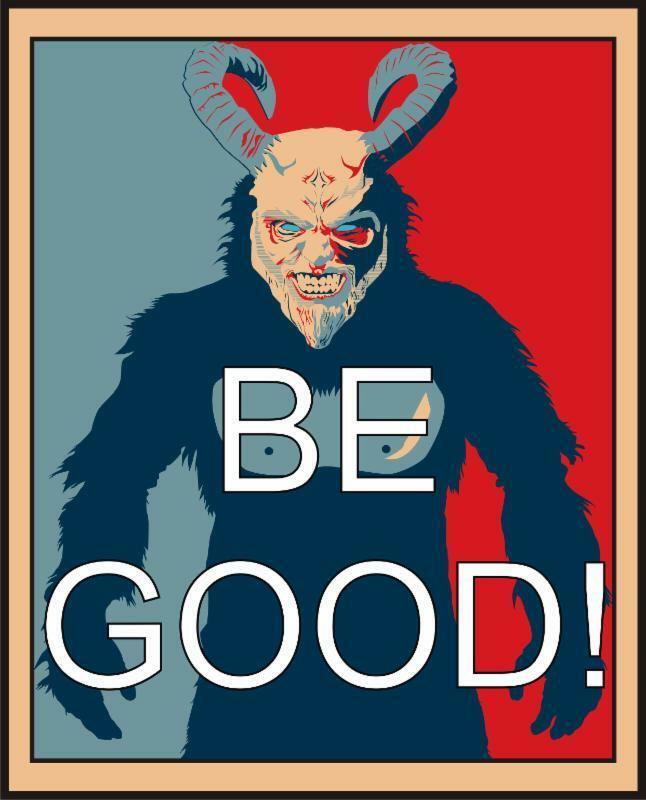 “Hey Pete,” you say, “who’s got your goat?” In a word… Krampus, and it ain’t no joke. The nordic/germanic folk character acts as the malevolent sidekick to Ol’ Saint Nicholas and is more than happy to beat the bejesus outta ya with a batch of birch branches. A likely remnant of the old world veneration of the Great God Pan, American audiences may be largely unaware of Krampus. The admonishment to “be good” lest you find a lump of coal in your stocking appears to be the closest kids in the US get to the dark-side of yule tide. That will soon be remedied as Santa’s satanic enforcer gets his due this coming holiday season. Yep, things get heavier than a little coal as the real nightmare before Christmas is the focus of an upcoming film and a brand new book.